Every day I receive updates and pictures of my many passengers, sometimes horses I haven't shipped in years, but it always reminds me of how important it was to the client that their horse was in trusted hands. Although these are just a smattering of the kudos for Horse Jitney, I hope they will give you an idea of the quality care and service I provide. Feel free to ask the forums too! In case you don't remember, you transported Bene for me from Kim's farm (Leighton Farm, Upper Marlboro, MD) several months back. Thank you so much for the incredible experience you've given me! I was amazed at how well the shipping of my new boy went. This was my first time handling shipping arrangements for a horse and I honestly had no idea what to do. Athena, however, obviously knew what she was doing. I was kept updated on what plans were being made for his shipping, and once he got on the road, I knew how he was doing every step of the way. Athena was very personal, taking a huge interest in our story and encouraging me to ask any and all questions that came to mind (she even recommended questions I should ask transporters in the future)! I have no doubt I'll be call Athena in the future, and will give glowing recommendations to anyone who asks! I cannot correspond how much pleasure my horses bring to my life. Their safety and well being are of upmost importance. 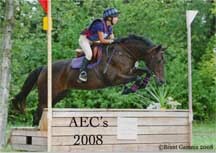 I have used numerous shippers throughout the years with much disappointment until a highly respected trainer and breeder recommended Athena Haresigh at Horse Jitney to me. Athena is a breeder, rider, trainer, but most importantly, a horse lover. She recently moved a 16 month old, very shy and skittish Gypsy Vanner for me. She stopped every three hours, climbed into his stall, spending time petting and talking to him. Twenty four hours later I received a happy, confident baby, not the shy, skittish guy he was known to be. I cannot thank her enough. I am getting ready to move a 6 month old from Massachussetts to Minnesota. 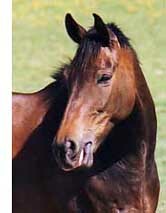 There is not a shipper in the world I would trust this colt with besides Athena Haresign. If you care about the safety of your beloved horses, I implore you only, only ship with Horse Jitney! Thank-you so much for shipping my horses for me. For everything that was wrong with (name witheld) as a shipper, you did everything right. Your prompt service, arriving on time. Your excellent communication, with frequent phone calls and follow-ups, and progress reports by email, pager, etc. It was a real joy, and did much to alleviate my worries about shipping my horses to their new homes. I am going to be giving you glowing testimonials on all of the transport sites, and recommending you to anyone I know who may require shipping services. I need to tell folks how wonderful Athena and Horse Jitney are. I recently moved my farm from Maryland to Idaho which included a menagerie of farm and house animals that are more like family members than most humans: 3 miniature donkeys, 3 miniature horses, 6 goats, 2 geese, a cat, and 3 cockatiels. All my initial fears about moving these critters clear across country were soothed after my first conversation with Athena. She is a �can do� person who is not easily intimidated and who seems to know almost everything about most animals. She quickly turned into my counselor, information source, and comforter and I can�t express how deeply I appreciate having enlisted her services for this move. She took personal interest in all my animals and their welfare, and she and her trusty friend Dave drove her beautiful horse trailer over an hour away to my farm several weeks prior to my move so that she could personally meet everyone and figure out how to fit everybody on board in the safest and most comfortable manner. Both she and Dave were incredible with the animals � obviously knowledgeable, calm, loving, gentle, caring, and they knew how to handle all the different personalities that allowed them to build a trust that endured throughout the move to Idaho. Unbelievable as it seems, they made the trip across country in 3 days, calling me several times each day to give me status reports, and they encouraged me to call as well just for my own comfort. When they arrived, I wasn�t sure what to expect since none of the animals have been at all fond of the rare short traveling experiences they�ve previously experienced. To my amazement, they were all I fantastic condition, just as Athena continuously reassured me during the trip. The horses, donkeys, and goats were all calmly resting in their little stalls in the trailer, eating hay, and not at all anxious to leave. In fact, they all had to be coaxed out of the trailer and looked a little perturbed that they had to leave their comfortable little home for the past 3 days. They all received such loving care that they obviously adopted Athena and Dave as new �parents�, and now they had to adjust back to me again. Even my cat, who�s always hated riding in cars, had been sleeping with Athena every night and now wasn�t at all anxious to change this new routine. And the cockatiels and geese were whistling and squawking so loudly I could hardly hear myself talk, so they also arrived with an �attitude�, reassuring me that all was well. My �family� and I now have new friends in Athena and Dave who I enthusiastically recommend to anyone needing animal transport. 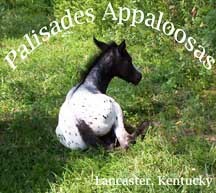 I am a breeder of Appaloosa foals and am always looking for safe, reliable horse transport. I have to arrange a dozen or more hauls a year for customers and myself. I recently contracted two hauls with Horse Jitney and Fred's Pony Express . Everyone was pleased with the service, communication, horse handling and the trailers themselves. The horses arrived safely in good condition. Even some loading problems were handled with good humor. I will be recommending Athena and Fred for transporting our horses in the future. Thank you Athena for the fabulous job you did moving Henny to his new home. I couldn�t believe how quickly you were able to coordinate his pick up. In less than 48 hours, you arranged his transport, got him to his destination, and made sure that our boy arrived in style. Your trailer was amazing, and you both loaded and unloaded Henny without any problems. You were even gracious enough to allow me to ship up feed, blankets and goodies so that Henny would have a great new start. And if that wasn�t enough, you called along the way and when our boy arrived safely at his new home. It was very difficult to give up our beautiful horse but you made a rough situation much easier. You are wonderful and caring and it showed the whole way through. Thanks for giving our boy the royal treatment. I would highly recommend you to anyone who needed their horse shipped. THANK YOU! Thank you for doing such a WONDERFUL job moving Remy to his new interim home. He truly roade in luxury with his own box stall! I feel you were very professional and helpful, and went the extra mile by helping me load the bale of hay with my bad back. You were GREAT! And you loaded Remy for me, and unloaded him. I thought it was great that you stopped to check on Remy a couple of times along the way, and that you didn't mind me following you up. I really appreciate all that you did to make the move easier and Remy arrived in excellent shape. THANK YOU! WOW!! What a great ship at a really great price. Athena is great, her rig and care is 1st class!! Excellent communication throughout the transport and she went out of her way to get me the horse when I requested. Athena will be the 1st person I recommend when needing a horse shipped. Abby is doing great she is so much better than I could have ever imagined she is really sweet and kind and so willing just like our stallion I can't wait to see how a baby will turn out. Allen and I can not thank you enough for your great services. I could tell that you were a true horse person and then I really had no more worries because I knew Abby was in good hands. You truly made this one of the easiest things I think I have ever done,again we can not thank you enough for the wonderful job you did getting Abby to us. Thank you so much for making my first, and hopefully ONLY, out-of-state horse buying experience a good one. Being able to find a hauler I felt comfortable with helped me make my decision to buy Signatures Saturn, a pure-bred Egyptian Arabian. He arrived safe and sound, and calm and relaxed. He walked off the trailer at a totally strange new place without any issues at all. I will reccomend you to all my endurance riding friends, no problem!!! Continued success to you Athena, and thanks again!!!!!! "Athena's Horse Jitney was a great choice to ship our not so easy to handle thoroughbred gelding. Her rig is safe and large, her horse knowledge exemplary, her communication by cellphone throughout the whole trip much welcomed--because it was a long trip, she even walked the horse for 45 minutes at his destination. 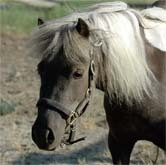 I would hire her to ship horses again without reservation--I have been in the horse business since 1980." Athena has helped me setup and market my new training and boarding business, as well as transports my students to horse shows. I know I can count on her for a direct answer to my questions, and she has helped me identify my strengths and weaknesses, which has made it easier for me to focus on the things I'm really good at and like doing. My business and my clients have benefited greatly from her input. I'm very excited about this year's show season, as we now have an even bigger show team that will be using Horse Jitney's horse show shuttle service. 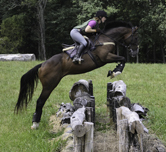 Athena has always been there for the team as a ground coach, and she's really good at helping qualm show nerves, talking with parents, and helping riders warm-up and prepare for their rides. She's always on time, and even helps us get ourselves organized on those frantic mornings when someone sleeps through the alarm! We highly recommend all of Athena's services. I JUST WANTED TO THANK YOU SO VERY MUCH! I HAVE BEEN LAX IN SENDING YOU AN E-MAIL BC I HAVE BEEN "LIVING AT THE BARN" WITH MY NEW BOY! HE IS WONDERFUL! THE PRICE WAS GREAT ESPECIALLY DURING THESE HARDER TIMES, YOUR CUSTOMER SERVICE IS TOP NOTCH AND TALKING TO YOU ON THE PHONE I FELT LIKE I KNEW YOU! (MADE A CONNECTION IMMEDIATELY) I TALKED TO SEVERAL SHIPPERS AND AS I RECALL I SAID " LETS DO IT"! YOU ACCOMMODATED ME SOONER IN THAT I STILL WOULDN'T HAVE HIM AND I HAVE BEEN ENJOYING HIM, DOING LIGHT RIDING, BRUSHING HIM AND WE HAD OUR FIRST LESSON TONIGHT! THIS GUY IS A KEEPER AND I HOPE WE CAN GROW OLD TOGETHER....... HOWEVER YOU NEVER KNOW HE MIGHT NEED A SISTER IN A YEAR OR 2!! YOU WILL BE ON MY SPEED DIAL BC YOU WILL BE MY SHIPPER. I AM 33 BACK IN THE SADDLE AND YES THIS HORSE PRINCE ROYAL FROM FWF IS MY "FUR CHILD". WHO KNOWS I MIGHT EVEN SHOW AND IF YOUR AVAILABLE I WILL CALL YOU!